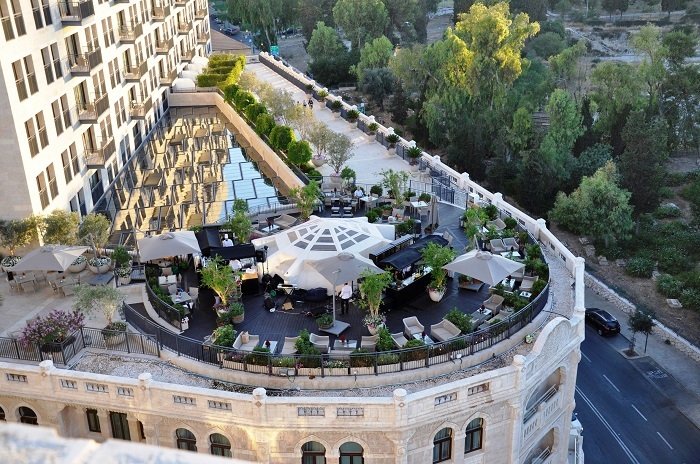 The Garden Terrace bar at Waldorf Astoria Jerusalem was opened this week for the summer season. 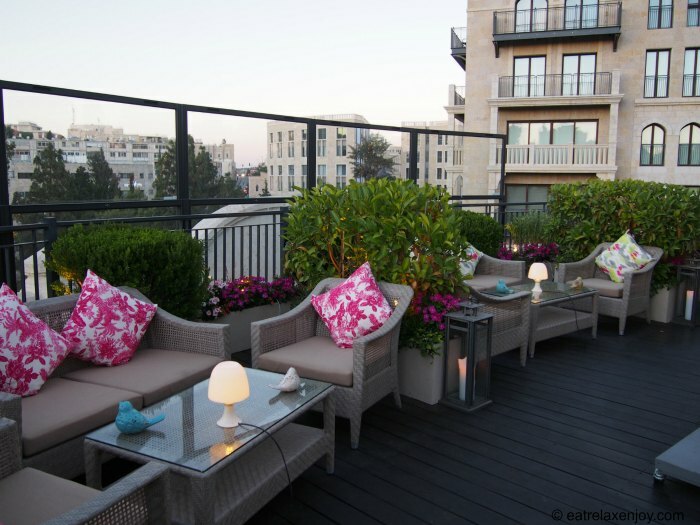 The bar, situated on an open terrace, serves cocktails, tapas and cigars. 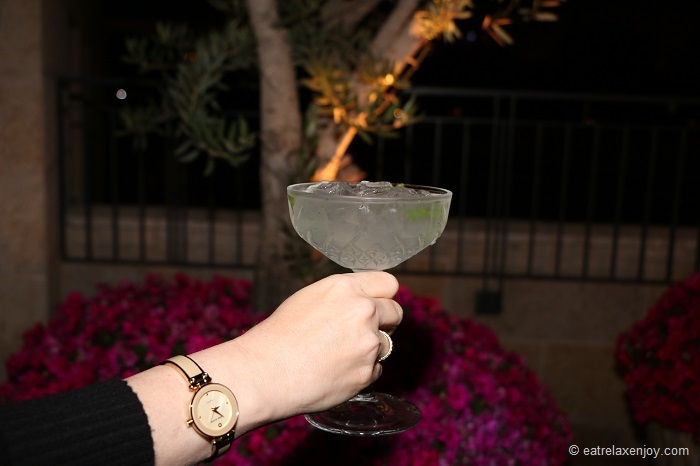 This year it will feature Gin & Tonic drinks that are especially refreshing in the Israeli climate! 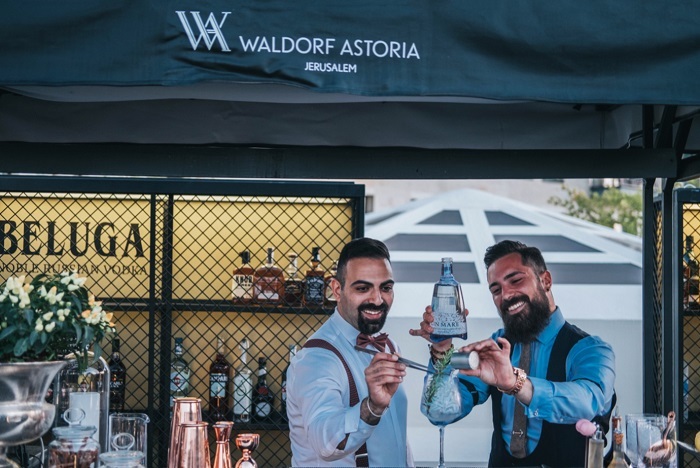 The season was opened with a Gin workshop of Ezio Canetti, the Italian bartender, ambassador of Gin Mare, who came to Jerusalem to guide the Waldorf Astoria team on the joys of G&T. Ezio explained that Gin is distilled from Juniper Berries and is seasoned with herbs and spices. 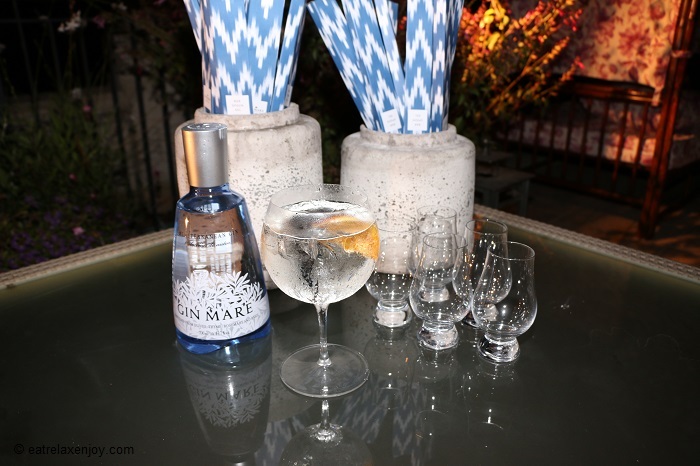 Gin Mare’s gin is distilled 8 times and has Mediterranean aromas such as olives, thyme, rosemary and basil. It reflects the Mediterranean climate and lifestyle also in the way it is served – chilled with fruits and herbs. Gin and Tonic should always be served in a chilled glass. So firstly, we fill the glass with ice and stir it until the glass feels frozen, and then, get rid of the water that was formed. Then, pour 50 ml of Gin (the bottle’s lid is the measurement cup) and one tonic bottle. We pour the tonic water slowly on the long spoon to blow little bubbles and leave only the big bubbles in the drink. Then, we added 2 drops of orange syrup and added a dried orange. The bar serves it with a piece of Mango. 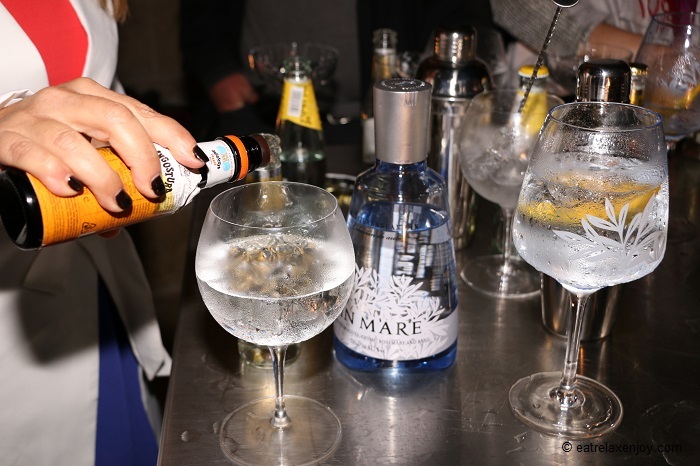 G&T drinks are served in a fat glass, this way the nose is inside the glass when we drink to inhale the spices' aromas of the drink. Here we used a shaker. We put a lot of ice in the shaker, add 50ml of Gin, 3 fresh mint leaves, 25 ml (half lid) of lemon juice and the same amount of sugar water and a bottle of tonic water. We shake, and serve in a wide glass. The G&T drinks add on to the Garden Terrace menu that already offers alcoholic beverages and fancy cocktails, including smoked cocktails. You can read more about them in my article about the Garden Terrace from last year. Gin Mare, Mango - Freshly sliced mango decorates this version of our gin and tonic, bringing fruity thirst-quenching forward note that elevates the gin. Gin Mare, Thyme and Basil - Garden Terrace fresh thyme and basil leaves are added to Gin Mare and tonic, to give you a light herbaceous take on the “G&T”. Beefeater 24 - This super-premium green tea inspired gin is paired with lemon verbena and Fever Tree lemon tonic. Hendricks - Here we lift the cucumber and rose water essences in the gin by adding fresh cucumber spirals and aromatic dried rose petals. Tanqueray 10 - The first gin to enter the Spirits Hall of Fame, created with chamomile flowers and fresh limes, oranges and grapefruits; we've picked up on those characteristics to pair this gin with fresh pink grapefruit. Plymouth - Plymouth gin has a flavor profile all of its own, robust and aromatic. 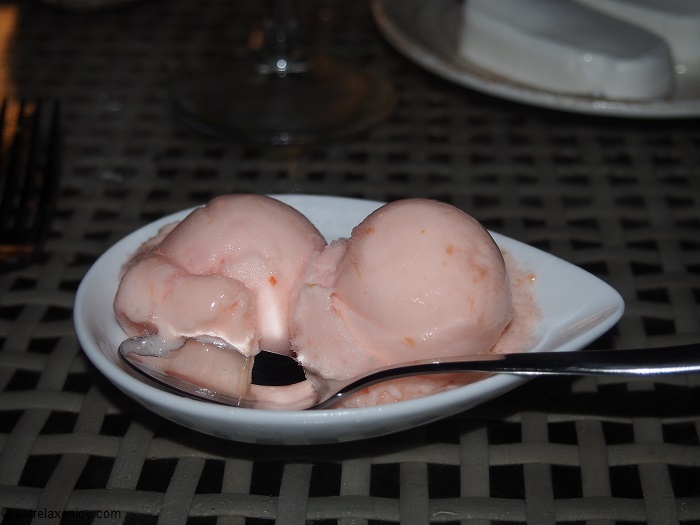 They've complimented those flavors by adding sweet fresh strawberries and the spice of black peppercorns. Seating at the terrace is very nice. The terrace is pleasantly decorated with a wooden floor, rattan furniture with colorful pillows and is surrounded by flowers and herbs. The view of Jerusalem around and the dim lights makes is very romantic! It is a little cool in May so you might want to bring a jacket. In addition to the drinks and cocktails, the bar offers excellent tapas made by Chef Itzik Mizrahi Barak. Albeit their small size they are as fine as any meal made here at the Waldorf Astoria! 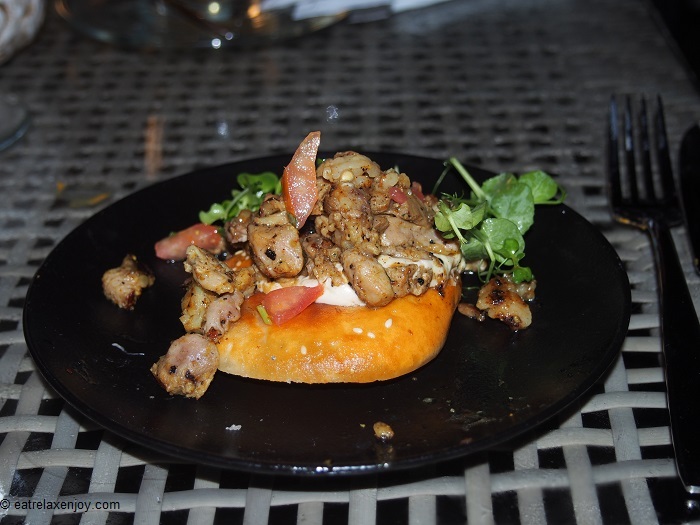 We tasted some of the tapas on the menu (that was not yet published at the time of the writing) – and loved them all! Salmon Gravlax herbal marinade, oranges, gin. 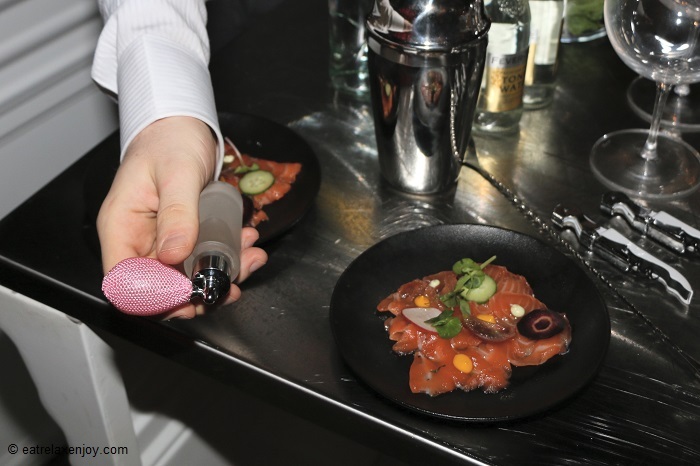 They spray this dish with gin - fancy! 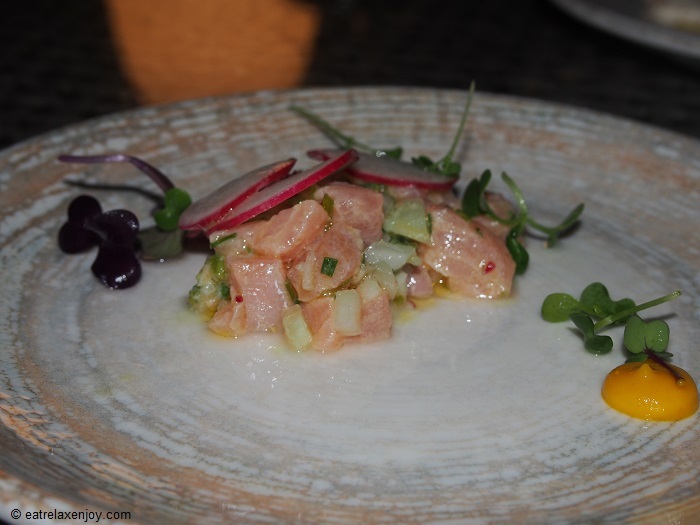 Salmon Tartar radishes, chives, fennel, olive oil, lemon, orange cream, and gin. Fresh and crunchy with lemon and anis flavor! 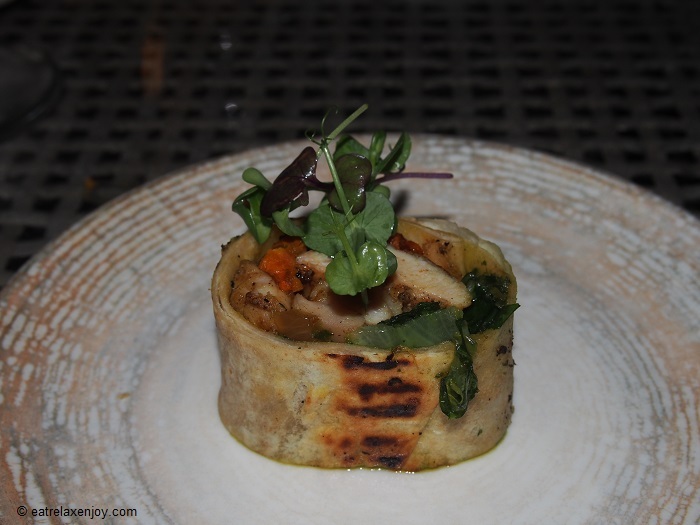 Pullet Tortilla pesto, sweet potato, crispy lettuce leaves. Excellent! Mini Shawarma pita, tahini cream, eggplant, hot peppers. It is served on a pita bread, with spices that are strong but not too hot. Spicy Merguez Flavored Kebab chickpea dish, tomatoes, tahini, pickled peppers. 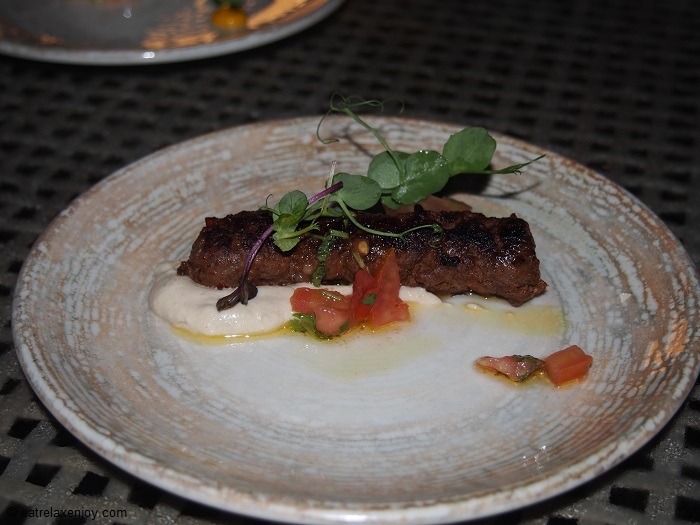 The kebab is relatively firm but with mild spiciness and a gentle merguez flavor (not too dominant) – very good! 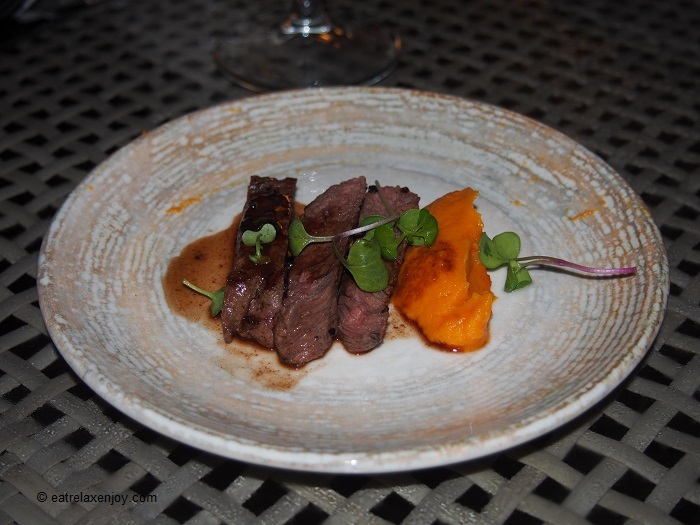 Entrecote Medallion a la Plancha sweet potato, demi-glace. Very well prepared, pink inside and melts in the mouth, goes well with the sweetness of the mashed sweet potato. 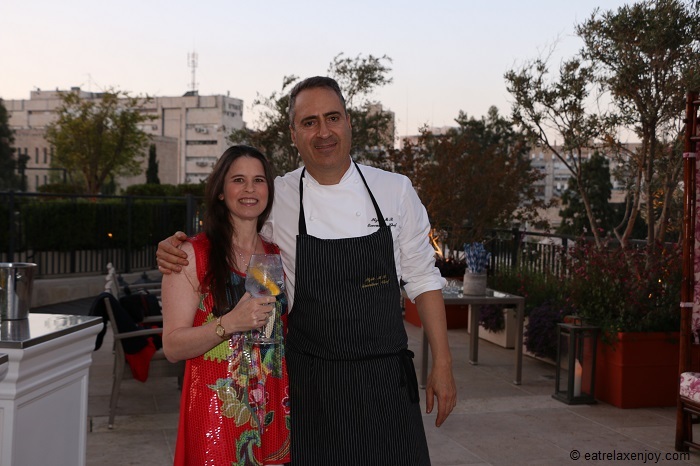 I am always impressed when the meat is soft and tender albeit the process of preparation to make it Kosher “Mehadrin” – and chef Itzik succeeds big time! 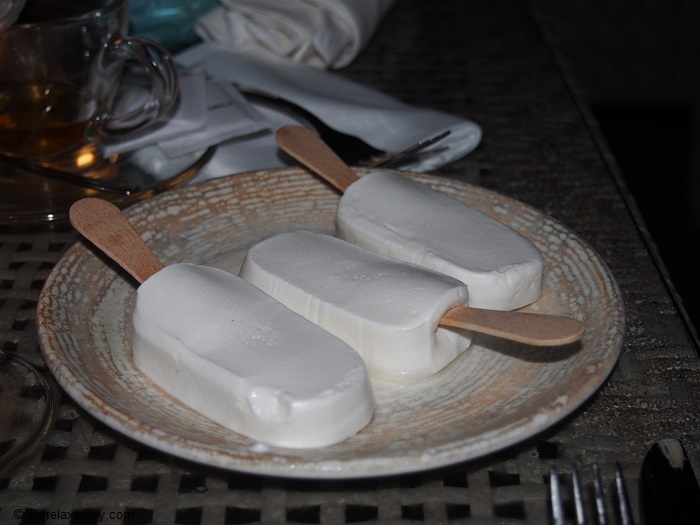 For dessert was had non-dairy ice cream – pink mint ice cream and an excellent vanilla ice-cream bar. 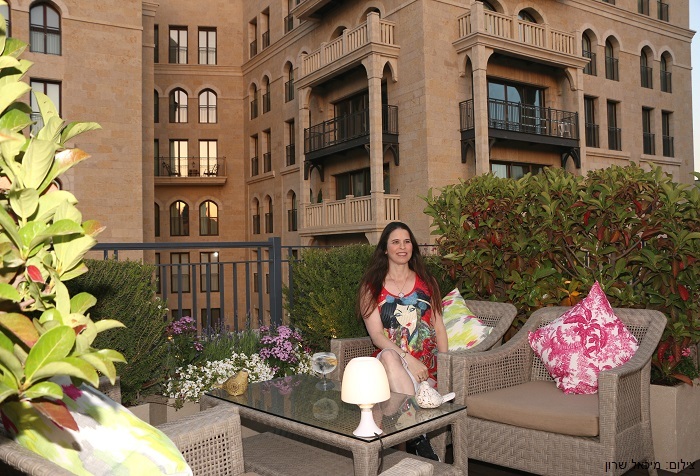 In summary, the terrace is lovely! I enjoyed sitting there so much! When it will be warmer and the days will be longer in the summer it will be so great! The food is excellent although they are tapas and the portions are very small. The Cocktails are superb! In the photograph below – the Garden Terrace from above. 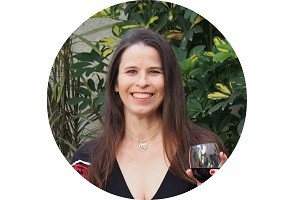 Additional reading: Waldorf Astoria Hotel Jerusalem, The summer bar (2017 review, including the smoked cocktails). Prices: tapas NIS45-65, wines and alcoholic beverages starting from around NIS40, G&T drinks around NIS90.